Black Friday begins earlier than ever, and those extra hours and extra discounts appear to have drawn quite a crowd. NBC News' John Yang reports. Updated 5:55 p.m. ET: If you think the Black Friday crowds were big at your local stores, you should have tried shopping in New York City, where an estimated 10,000 people were waiting when the Macy's flagship store opened at midnight. Many retailers opened early across the country to take advantage of buyers' pent-up demand for the annual deals, which NBC News' Janel Klein reported can make up to 40 percent of a store's profits for the entire year. "I thought I was going to get run over," Lindsay O'Rourke said after shopping at a Target store in Tulsa, Okla.
"I was holding onto my aunt so I wouldn't get run over," she told NBC station KJRH. Thirty-two stores opened at midnight at NorthPark Mall in Davenport, Iowa, NBC station KWQC reported. Michelle Mandell, an employee at Victoria's Secret in the mall, said people were shoving one other to get to their favorite merchandise. "It was insane. I had people climbing my merchandise and throwing product through the store. It was crazy," she said. Despite the down economy, the National Retail Federation predicts a 2.8 percent increase in holiday spending this year over last, with as many as 152 million people hitting the stores this weekend, up 10 percent from last year. "The electronics are very big ? the tablets, the smartphones ? but clothing is very big, as well," Jon Hurst of the Retailers Association of Massachusetts told NBC station WHDH of Boston. "And you know, of course, toys always do well in any economy." People began lining up early this week to keep their spot in line for Friday's sales at a Kohl's department store in Boise, Idaho. Some people planned out their shopping route, dividing up family members to cover the store faster. "We have people all over. We have people in the kids department. We're in the linens department. We have an aunt that is down in the clothing department," Jess Huntington of Boise told NBC station KTVB. Matt Lokay, general manager of a Best Buy store in Wichita, Kan., said it was "a lot busier than I expected." TVs, games, and gadgets were flying off store shelves across the country. NBC's Janel Klein and CNBC's Julia Boorstin report. "Our line actually went all the way down 21st Street by the apartments next door," Lokay told NBC station KSN. "You get great deals and save a lot of money," said Jennifer Duda, who waited outside a Toys 'R Us store in Wichita, which opened at 9 p.m. Thursday. "My mom is going to the left and I'm going to the right, and then we're going to meet in the electronics with a cart, hopefully," Duda said. NASA plans to launch its newest Mars rover tomorrow (Nov. 26), a beast of a robot that officials say is the most complex and capable planetary explorer ever built. Technicians rolled the car-size Curiosity rover and its Atlas 5 rocket to their pad at Florida's Cape Canaveral Air Force Station Friday morning (Nov. 25) to prepare for liftoff, which is slated for today at 10:02 a.m. EST (1502 GMT). Chances are good that Curiosity ? the centerpiece of NASA's $2.5 billion Mars Science Laboratory (MSL) mission to assess past and present Martian habitability ? will get off the ground on time, officials say. Current forecasts predict just a 30 percent chance that bad weather will postpone the launch, and the mission team is working no issues with the rover or its rocket. At 1 ton, Curiosity weighs about five times more than each of its immediate Mars rover predecessors, the golf-cart-size twins Spirit and Opportunity, which landed on the Red Planet in January 2004 to look for evidence of past water activity. Both Spirit and Opportunity carried five science instruments. Curiosity boasts 10, including a rock-vaporizing laser and gear designed to identify organic molecules ? the carbon-containing building blocks of life as we know it. Curiosity also sports a drill at the end of its 7-foot (2.1-meter) robotic arm that will allow it to collect samples from the interior of Martian rocks, a first for a Red Planet robot. "This rover, Curiosity rover, is really a rover on steroids," Hartman said. After liftoff, Curiosity will embark upon an 8 1/2-month cruise to Mars. In August 2012, it will land at a 100-mile-wide (160-kilometer) crater called Gale and begin assessing whether Mars is, or ever was, capable of supporting microbial life. A 3-mile-high (5-km) mound of layered sediment rises from Gale's center. These layers preserve a record of Martian environmental change spanning about one billion years, and Curiosity is designed to read them like a book. The rover will pay special attention to layers near the mound's base, where Mars-orbiting spacecraft have identified clays and sulfates ? minerals that form in the presence of liquid water. The rocks shift farther up the mountain, capturing Mars' transition from a relatively warm, wet planet to the frigid, dry and dusty world we see today. Curiosity's observations could help shed light on this dramatic transformation, researchers said. The MSL team is quick to stress that Curiosity is not hunting for signs of life; if any microbes are squirming about in Mars' red dirt, the rover probably won't be able to spot them. But Curiosity's mission is a necessary precursor to future efforts to hunt down potential Red Planet life, researchers said. "A habitable environment needs to be described," said MSL project scientist John Grotzinger of Caltech. "You just simply have to know where to look." Many consumers are deciding to shop at home. A look at how come online retailers, like Blue Nile, are preparing for the boost in traffic, with Mark Vadon, Blue Nile chairman/CEO. APIA, Samoa - Two days after winning for the first time in its history, American Samoa's national soccer team stretched its unbeaten run to two games. American Samoa coach Thomas Rongen, a former Ajax player and veteran MLS coach, says "we made it very hard for ourselves again but we got the result we needed to make the game against Samoa, who I consider the best team here, a meaningful contest."
? ?Roundup: Udinese returned to first place in the Italian league, beating Roma 2-0 on Friday on goals by Antonio Di Natale and Mauricio Isla. For the first time in decades, football in Libya is just about, well, football. 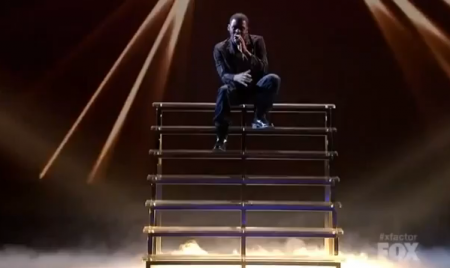 Marcus Canty Sings "A Song For Mama"
Welcome to the final seven, Marcus Canty. Let's be honest: it will take a heart of stone to vote out this X Factor contestant this week, following his emotional rendition of "A Song for Mama," a Boyz II Men single dedicated to Canty's mother, who was dabbing her eyes in the audience throughout the rendition. SEOUL, South Korea ? South Korea's highest court has upheld a three-year prison term imposed on a pastor for making an unauthorized trip to North Korea. The Rev. Han Sang-ryol was previously convicted of visiting North Korea without permission last year, and of praising Pyongyang's communist system. The Supreme Court says its decision Thursday to uphold the sentence is final. North Korea has criticized South Korea's detainment of Han, saying it demonstrates Seoul's anti-unification, confrontational policy. The two Koreas are still technically at war because their war in the 1950s ended with an armistice, not a peace treaty. South Korea's National Security Law bans citizens from supporting North Korea's political system or entering the country without approval. Welcome to the Engadget Holiday Gift Guide! We're well aware of the heartbreaking difficulties surrounding the seasonal shopping experience, so we're here to help you sort out this year's tech treasures. Below is today's bevy of curated picks, and you can head back to the Gift Guide hub to see the rest of the product guides as they're added throughout the holiday season. Jack Frost nipping at your phone and you need a new one? We know it can be difficult to decide on a smartphone to add to your holiday wish list, but if you're going to be hitting up all of the New Year's Eve parties, you don't want to be using something that's too embarrassing to take out of your pocket. This season offers a lot of tempting options: Ice Cream Sandwich, Windows Phone Mango and iPhone 4S are all worth drinking a lot of eggnog over. Unfortunately, there are so many tantalizing possibilities that we aren't able to include every single handset, but we've whittled it down to a mere nine devices that we think even Old Man Winter would enjoy. Join us after the break to help ring in the holiday cheer. Note: Prices are subject to change. Amazon, for instance, is holding a week-long holiday sale (from November 21st to 28th) in which almost every smartphone is a penny. 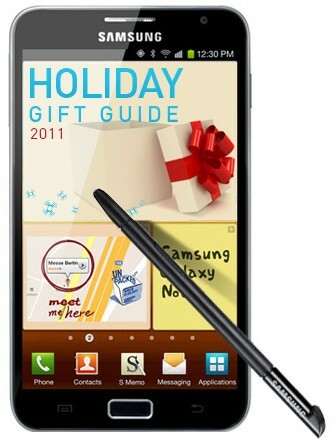 Engadget's holiday gift guide 2011: smartphones originally appeared on Engadget on Tue, 22 Nov 2011 12:00:00 EDT. Please see our terms for use of feeds. ISLAMABAD (AP) ? Pakistan's envoy to Washington lost a battle with the country's powerful generals to keep his job Tuesday over allegations he wrote a memo seeking U.S. help in stopping a supposed coup in the aftermath of the American raid that killed Osama bin Laden. Although Haqqani said he hoped his stepping down would end the scandal ? which Pakistanis have called "memogate" ? speculation remained over whether it could yet engulf Zardari. The unpopular leader has faced questions over whether he also knew about the mysterious memo, which right-wing, pro-army media outlets have described as treasonous. Haqqani said he stood by earlier denials he had nothing to do with the letter, which was sent soon after the bin Laden raid to then-U.S. military chief Adm. Mike Mullen. The envoy and his supporters have alleged the memo was a hoax cooked up by the military establishment to get rid of him and weaken the Zardari government and democratic institutions ? explosive charges in a country that has seen at least three military coups. Ijaz has a history of making claims to be well connected with U.S. politicians. Under the Clinton administration, he said U.S. officials told him Sudan was willing to turn over then-fugitive bin Laden, who was taking refuge there. Ijaz said Clinton National Security Adviser Sandy Berger rejected the deal because he was unwilling to do business with Sudan ? a claim that Berger immediately denied. When Mullen blamed Pakistan for aiding the Haqqani militant network after its spectacular attack against the U.S. embassy in Kabul over the summer, the ambassador went into overdrive, working the phones and persuading U.S. officials to meet him at his office, or at the Army Navy Club near the White House ? discreet conversations that helped keep some forms of military cooperation moving forward. Associated Press writers Sebastian Abbot in Islamabad and Kimberly Dozier and Matthew Lee in Washington contributed to this report. Video: The worst Congress ever? HBT: Milwaukee's Ryan Braun has won the NL Most Valuable Player Award after helping lead the Brewers to their first division title in nearly 30 years. Braun earned the MVP on Tuesday, receiving 20 of 32 first-place votes and 388 points in voting announced by the Baseball Writers' Association of America. Los Angeles center fielder Matt Kemp, who came close to winning the Triple Crown, received 10 first-place votes and finished with 332 points. Braun's teammate Prince Fielder finished third with 229 points, and Arizona's Justin Upton finished fourth with 214 points. [unable to retrieve full-text content]Appolicious - We?ve heard rumors that the next version of Apple?s iPad will include a high-resolution display on par with the jump in detail seen with the iPhone 4?s Retina display, and a new rumor suggests those iPad displays are already on their way to Asian iPad assembly plants. LOS ANGELES (AP) ? Natalie Wood's drowning death nearly 30 years ago came after a night of dinner, drinking and arguments but the question remains ? was it anything more than a tragic accident? Conflicting versions of what happened on the yacht shared by Wood, her actor-husband Robert Wagner and their friend, actor Christopher Walken, have contributed to the mystery of how the actress died on Thanksgiving weekend in 1981. Two sheriff's detectives are now diving into the mysterious events on the yacht Splendour, although whether they reach any different conclusions than their predecessors remains to be seen. They recently received new, seemingly credible information and heard from potential witnesses who weren't included in the original investigation of Wood's death, sheriff's Lt. John Corina said Friday. But he said nothing has happened to change the official view that Wood's death was originally an accidental drowning. Wagner, the star of "Hart to Hart" is not considered a suspect, he added. Corina released few details about who investigators have contacted or plan to re-interview, but the inquiry will certainly lead them to speak with the three survivors of the trip ? Wagner, Walken and skipper Dennis Davern. Wood's sister, Lana, was not on the boat, but told CNN's Piers Morgan on Friday that she has spoken with Davern many times and believes her sister did not fall off the boat. "I don't think she fell, I don't know if she was pushed, I don't know whether there was an altercation and it happened accidentally but she shouldn't have died and that does stay with me and hurt," Lana Wood said. "I would prefer to always believe that RJ (Wagner) would never do anything to hurt Natalie and that he loved her dearly, which he did, and I don't believe that whatever went on was deliberate. I've always cared about him. I always will care about him," she said. The captain said on NBC's "Today" on Friday that Wagner is to blame for the Oscar-nominated actress' death in the chilly waters of Southern California in November 1981, but didn't offer many specifics. For years he has maintained that he heard the famous couple arguing on the boat before Wood went missing and Wagner refusing to immediately search the waters nearby for his wife. Sheriff's officials denied the renewed attention prompted their review, which could take months. "We're not concerned with the anniversary date," Corina said. "It may have jarred some other people's memories." The Splendour is currently docked in Hawaii, where it's used for charter cruises. The current owner said Friday said he was contacted by Los Angeles authorities several weeks ago. He did not reveal details of the conversation. "I have known for a few weeks that there was going to be a police investigation," Ron Nelson, who purchased the boat in 1986, said in an interview with KHON-TV in Honolulu. "But I didn't know it was going to explode like it did overnight." LA Sheriff's Department officials said they will travel to Hawaii to look at the boat as part of their investigation. Davern and Wagner agree on one point about the fateful night ? there was a heated argument on the yacht after the group returned from dinner on Catalina. All had been drinking, and here is where the three men's accounts begin to differ. Davern said he heard Wagner and Wood arguing and its outcome had horrific consequences. Was that fight "what ultimately led to her death?" Davern was asked by "Today" show host David Gregory. "Like I said, that's going to be up to the investigators to decide," Davern responded after a long pause. Wagner acknowledges a fight took place on the Splendour, but in his best-selling 2008 memoir "Pieces of My Heart," he wrote that the fighting was between him and Walken. The disagreement began over the acting profession and led to Wood retreating to her cabin, while the dispute raged on between Wagner and Walken. Later Walken went to bed, according to Wagner, who, after staying up with Davern for a while, went looking for his wife and couldn't find her on board. He then noticed that a dinghy attached to the boat ?and his wife ? was gone. Walken, who has rarely spoken about the events that led to Wood's death, denied in a 1982 interview on "Good Morning America" that he and Wagner quarreled. "No, that's not true," Walken said when asked if a fight was the reason Wood left the yacht. "They were very good to me, that family, and that's not true. "We were having a Thanksgiving weekend, a good time," he said. But Walken told sheriff's detectives that there was an argument, according to a 2000 Vanity Fair piece that included statements from a report by the investigating detective. It also included comments from Davern, who told the magazine that he heard Wagner and Wood fighting before she went missing. The detective, Wagner and Walken and coroner's officials all have maintained that Wood's death was an accident, possibly caused by her trying to secure the dinghy to the side of the yacht. "The people who are convinced that there was something more to it than what came out in the investigation will never be satisfied with the truth," Walken was quoted in the Vanity Fair piece as saying during an interview in the 1980s. "Because the truth is, there is nothing more to it. It was an accident." Wagner too addressed the uncertainty about what happened in his book. Wagner said through a spokesman that his family trusts the sheriff's department to conduct a fair investigation into Wood's death. The couple was married twice, first in 1957 before divorcing six years later. They remarried in 1972. Associated Press writers Christopher Weber and Denise Petski contributed to this report. China?s increasingly assertive territorial claims over huge swathes of the South China Sea recently have unnerved several neighbors. They welcome Obama's Asia visit to re-assert Washington?s Pacific priorities. As President Obama heads for Australia and then Indonesia this week, South East Asian nations will be expecting him to spread the US security umbrella a little more firmly over their region. China?s increasingly assertive territorial claims over huge swathes of the South China Sea recently have unnerved several of the Asian giant?s neighbors. They will be relieved to hear the US president re-assert Washington?s Pacific priorities. In Australia, Mr. Obama is expected to announce a major boost in military ties, giving US forces permanent access to Australian bases in northern Australia, close to Indonesia. That would make it much easier for them to reach key shipping lanes in the South China Sea. US Pacific Command chief Robert Willard described those trade routes Monday as ?incredibly vital to the region, to our partners and allies, and certainly to the United States.? Some 50 percent of world trade passes through the South China Sea. In Indonesia, Obama will be the first US president to attend an East Asian Summit, in a clear signal that after a decade of concentrating heavily on the Middle East, Washington is now readier to focus more on Asia. A number of the regional countries involved in territorial disputes with China, such as Vietnam, Indonesia, and the Philippines, say they have noted a growing readiness in Beijing to assert sovereignty claims far from mainland China. The Philippines government was surprised last July when China objected to Manila?s invitation to foreign companies to explore for oil and gas 50 miles off the Philippines coast. China claimed that the move ?infringes on China?s sovereignty and sovereign rights.? The area lies more than 500 miles from the nearest Chinese coast, Philippines Energy Ministry Undersecretary Jose Layug told the Associated Press Monday, revealing the extent of China?s latest territorial claim. TUSCALOOSA, Ala. ? Georgia Southern ran wild against major college football's top defense, racking up more points against No. 3 Alabama than anybody else has this season. The Eagles' triple option attack confounded the Crimson Tide with 302 rushing yards, but they still fell 45-21 Saturday at Bryant-Denny Stadium. The six-time FCS champions aren't into consolation prizes. "They say statistics are for losers," Georgia Southern coach Jeff Monken said. "We can look at those things and think of it as a moral victory. Bottom line is, though, we didn't win the football game. Our kids played as hard as they could. They played with so much effort, and I'm proud of our guys for running the ball like that." The Eagles (9-2) didn't back down from a team vying for the FBS title. Neither did Dominique Swopes, who rushed for an 82-yard touchdown and gained 153 yards on 18 carries. Trent Richardson rushed for 175 yards and scored three touchdowns to power Alabama (10-1) to the win. No. 2 Oklahoma State's 37-31 loss to Iowa State in two overtimes on Friday night prompted coach Nick Saban to give the Crimson Tide a pregame message: "Nothing's changed." "I told our players before any of this ever happened that a legacy of the seniors that have won 45 games here and won a national championship would completely get defined if we didn't get everybody's best effort in this game," Saban said. "What happened, happened. I told everybody this morning that hasn't changed. Nothing has changed. "We have two games to play. We're asking everybody, `Do you know what your best is? We need your best for the rest of this season and then this game.'" The Tide wasn't at its dominating best against Georgia Southern and the well-executed triple option attack that bears little similarity to what Alabama is accustomed to facing. Yet Richardson, a Heisman Trophy candidate, kept piling up the stats in a game that never offered him much of a breather. He ran 32 times, caught a 4-yard touchdown pass and broke Shaun Alexander's school single-season mark of 19 rushing touchdowns. "It means a lot," Richardson said. "I didn't even know I did, but they told me I did. I talk to Shaun all the time. He's like a big brother to me." Mark Ingram, the Tide's 2009 Heisman winner, was on hand thanks to the New Orleans Saints having their bye this weekend. Richardson was still running well into the fourth quarter in a game that was expected to be a low-stress tuneup for the Iron Bowl at Auburn. That triple option of Georgia Southern, meanwhile, burned the nation's top defense. "They put forth a tremendous effort against maybe the best football team in America," Monken said. "Our kids fought them tooth and nail all the way through." The Tide seniors set a school four-year mark for wins with No. 46. They're hoping to compete for a second national title, a bid that keeps gaining momentum with losses by previous unbeatens Oklahoma State, Stanford and Boise State. "You're excited to see things like that of course because at Alabama we play for championships, that's what we do," defensive end Damion Square said. "So you're excited to see things like that, but right after that, you've got to realize we've got a game to play like today." AJ McCarron completed 14 of 19 passes for 190 yards and three touchdowns for Alabama. He threw his second touchdown to tight end Brad Smelley with 44 seconds left after Georgia Southern used up its final two timeouts. The Tide also scored when Dont'a Hightower blocked a field goal after Georgia Southern's opening drive. Dre Kirkpatrick scooped up the ball and raced 55 yards for a touchdown. It was the first time Alabama had scored on a blocked field goal since 2003. Georgia Southern had plenty of highlights, too, especially for an FCS team facing one of major college football's dominant programs. The previous scoring high against the Tide was 14 points by Arkansas, and Georgia Southern had that by halftime. Swope is only the 10th back to rush for 100 yards against Alabama since 2005 and first since Tennessee's Tauren Poole last season. Laron Scott scored on a 95-yard kick return in the third quarter after Alabama appeared to take control with McCarron's 34-yard, third-down touchdown pass to Smelley to make it 31-14. "This is Alabama. Roll Tide, but we're just out there slugging," Scott said. "We're going to keep on fighting." Alabama noseguard Josh Chapman sat out the game to rest a nagging knee injury, while defensive end Nick Gentry and receiver DeAndrew White were suspended for violating team rules. Receiver Darius Hanks and left tackle Barrett Jones also were out with injuries. Defensive end Jesse Williams saw action in Chapman's spot after suffering food poisoning on the eve of the game. None of that offered much preparation for a wishbone-like attack that came in averaging 320 yards rushing a game ? and nearly matched that. Georgia Southern quarterback Jaybo Shaw only completed one of his five passes, but it was good for a 39-yard touchdown to Johnathan Bryant. "We knew we were going to get them on play action one time in the game," Shaw said. The Eagles also drove inside Alabama's 10 in the fourth quarter, but Shaw's fourth-down pass fell incomplete in the end zone. They finished the game in Tide territory, too. Saban said his players didn't overlook Georgia Southern. "That was a good win for us," he said. "That was a good little team we played out there today. "Those guys played hard. They played with a lot of toughness. It's a tough offense to get prepared for, and it's totally different than what we do all the time." The former Spice Girl designs a fun collection for UK retailer Argos. WASHINGTON (Reuters) ? A group of House Democrats are asking regulators to start over with a proposed ban on proprietary trading by banks, arguing the current proposal has too many loopholes. In a letter to Federal Reserve Chairman Ben Bernanke released on Wednesday, a group of 17 House Democrats said the draft rule unveiled last month should be scrapped and replaced with a more simple approach. "The Federal Reserve's draft Volcker Rule is unnecessarily complex and includes several large loopholes that undermine Congress's intent to protect banking deposits from risky trading activities," the lawmakers wrote in their letter, which was spearheaded by Representatives Maurice Hinchey and Peter Welch. The Volcker rule, named for former Fed Chairman Paul Volcker who championed the measure, aims to prevent banks that receive government backstops like deposit insurance from making risky trades with their own funds in securities, derivatives and other financial products. It will also prohibit banks from investing in, or sponsoring, hedge funds or private equity funds. The trading ban will have the most impact on large banks like Goldman Sachs and Morgan Stanley. The Volcker rule was included in the 2010 Dodd-Frank financial oversight law and the draft rule released last month was written by the Fed, the Federal Deposit Insurance Corp, the Office of the Comptroller of the Currency and the Securities and Exchange Commission. The rule is out for comment until January 13 after which a final proposal has to be drafted to fully implement the policy. Some of the complaints the lawmakers are aiming at regulators have more to do with provisions included in the law passed by Congress. For instance, the letter complains that the proposed rule would allow banks to engage in proprietary trading if it is done to make a market for a client or to hedge against related risks. These exemptions to the ban, however, are permitted by the law. Regulators have faced complaints that their interpretation of these exemptions is too broad. The letter also cites recent comments from Volcker himself that the rule may be too complex. At a November 9 event on the rule, however, Volcker's top aide, Tony Dowd, said the former Fed chairman is mostly supportive of the proposal, particularly the provision that lays responsibility for following the trading ban with senior management. Dowd said Volcker feels it is more complex than needed, only because the banking industry was successful in its efforts to have exemptions added to the law. "From Mr. Volcker's standpoint I think he is hanging his hat on the strong wording of the general prohibition on prop trading and the accountability for senior management and boards of directors to implement the policy," he said at an event hosted by Americans for Financial Reform, which supports the Volcker rule. TORONTO ? A former doctor who admitted to stalking Canadian country star Shania Twain has been released from jail with credit for time served. Giovanni Palumbo pleaded guilty in September to criminal harassment and had been in custody since being arrested at Canada's top music awards in March, where he showed up with a greeting card to give to Twain. A judge sentenced Palumbo to three years of probation on Tuesday. He is not allowed within 0.5 miles (0.8 kilometers) of Twain, her family or any of her professional staff. He's also not allowed to contact her or communicate with her and has been ordered to continue counseling. Defense lawyer Gary Barnes said his client has a mental health issue. Twain previously testified by video link and described the numerous lovelorn letters Palumbo had mailed to her homes in Ontario and Switzerland and discussed the feelings of fear and vulnerability conjured by his unwanted visits. He was seen at her family cottage, her grandmother's funeral and at the Juno Awards in March. After hearing Twain's testimony, Palumbo decided to plead guilty but several more court dates followed due to legal wrangling over a psychiatric evaluation that had been requested by the prosecution ahead of sentencing. That continued Tuesday, with Dr. Helen Ward telling court that Palumbo suffers from bipolar disorder, a narcissistic personality disorder and shows obsessive-compulsive traits. Still, she found him criminally responsible for his actions, noting that at the time of his arrest, Palumbo seemed capable of differentiating between right and wrong. "He knew exactly what he was doing," Ward told the court. "He just didn't care." Palumbo was volatile throughout his trial, and had several more outbursts during his latest court appearance. When Ward described his narcissistic traits, Palumbo shouted: "I'm not narcissistic ? I agree you're all superior to me." Earlier, during testimony from the police officer who arrested him, Palumbo again couldn't resist interrupting. "I am innocent. I have never harmed anyone or anything in my entire life and I don't intend to harm anyone or anything in my entire life," said Palumbo, who used to work as an assistant surgeon but has since lost his medical license. Barnes said he thought Palumbo's condition had worsened over the course of his incarceration. He also argued that if Palumbo had been sentenced in the weeks immediately following his arrest, he would never have been handed the nearly eight months of jail time he wound up serving. While Barnes confirmed at various points over the course of the trial that Palumbo remained in love with Twain, he said Tuesday he wasn't sure if that was still the case. But he said he hoped Palumbo wouldn't try to contact the country-pop star again. "If he did breach the probation order, he knows where he's going to end up," he said. The gaming world came back from the weekend ready for action. On Monday, Caesars made headlines by announcing its plans to go public a year after canceling its first public offering. Then, on Tuesday, Massachusetts passed a bill, which state legislators finalized Wednesday morning, allowing the construction of three full-scale casino resorts and a slot parlor. The bidding wars should be intense, and Ameristar aimed to get a jump on the competition by buying land for its proposed development before Wednesday's votes were even counted. And in other news, The Cosmopolitan of Las Vegas made Fodor's list of the 100 best hotels in the world but still couldn't get out of the red in the third quarter. We have all the latest for you here. Massachusetts state legislators voted Wednesday morning to pass a bill allowing the licensing of up to three Las Vegas-style casinos and one slots parlor in the state. Now the bill awaits Gov. Deval Patrick's signature, which will be a triumphant moment for a man who has fought since 2007 to bring casinos to the state. Let the bidding games begin! Casino license bids start at $85 million. Slot parlor bids start at a mere $25 million. The bill claims 25 percent of casino revenue and 40 percent of slot revenue for state and city taxes. A version of the bill earmarking 5 percent of annual gaming revenue to buoy the horse racing industry passed all but a final procedural hurdle on Tuesday. Before the final vote on Wednesday, the bill was amended to reduce the racing subsidy to 2.5 percent. Patrick argued that gaming expansion would bring much-needed revenue to the state, but he may not have anticipated the money would show up quite so fast. Shortly before Wednesday's vote, Ameristar Casinos agreed to pay $16 million for 41 acres of land in Springfield. Ameristar says it will apply for a license to build a luxury hotel and entertainment resort in western Massachusetts. "This is a great opportunity for Ameristar to build on a one-of-a-kind site within the city limits of Springfield, a city that would greatly benefit from an economic development project of this magnitude," Ameristar's CEO, Gordon Kanofsky, said. "There are not many attractive new-market growth opportunities for casino companies, and this one in particular fits Ameristar." But Ameristar will have to compete with Mohegan Sun's proposal to build a casino resort in nearby Palmer. Caesars Entertainment Corp. and the Las Vegas Sands Corp. are also expected to show interest in Massachusetts licenses. Both companies' CEOs live in Boston. Rep. Joseph Wagner, a member of the committee that worked on the bill, said several reasonable compromises were required to secure Tuesday's success, including an amendment that allows cities to veto casino licenses for their area. The provision only applies to Boston, Worcester, and Springfield, where Ameristar plans to purchase land. Another compromise dropped a provision that allowed bars and restaurants in the casinos to offer free drinks. Instead, only the casino will be able to give away alcohol. The Senate added an amendment that bars state, county, and local government officials from working in the casino industry for at least a year after leaving office. The Statehouse is still dealing with several corruption scandals and some were wary of the potential for conflicts of interest. Supporters of the bill have said three new casinos and a slot parlor could create up to 9,000 permanent jobs and 6,000 temporary construction jobs. They estimate the new gaming properties will bring in $300 million in annual tax revenue. Of course, some lawmakers expect gaming to bring on the apocalypse too. "We know that crime will increase. We know that homelessness will increase. We know that incarceration will increase," Rep. Ruth Balser said. "this is the wrong direction for Massachusetts." Whichever direction the state is going, it will likely be several years before the first casino-resort gets there. The Boston Globe discusses the details of the bill, and The Boston Herald has more on the Ameristar deal. Caesars Entertainment Corp. announced on Tuesday that it is planning a small initial public offering on the Nasdaq exchange to raise $50 million, less than 10 percent of what the company was hoping to raise from the IPO it canceled last year. Named Harrah's at the time, the company scrapped plans to sell 9 percent in 2010 as the market struggled and investors showed concern over Caesars' debt burden. Now that Caesars has filed the initial papers, the U.S. Securities and Exchange Commission has up to three months to pass judgement on the IPO. This time, while Wall Street is in the midst of an IPO frenzy fueled by Groupon and Zynga, Caesars is starting slowly to test market reaction before potentially offering more shares. Last year, when it hoped to raise more than $530 million, the total company was valued at $5.2 billion and held $21 billion in debt. At Caesars most recent filing on Sept. 30, it held debt of $18.8 billion. Caesars, which operates 52 casinos, reported a $467 million loss on $6.6 billion in revenue for the first nine months of 2011. According to the Wall Street Journal, Caesars CEO Gary Loveman said six months ago that the company would not attempt to go public again unless there was "a clear catalyst for growth," such as opportunities to open a casino in Asia or legal changes related to online poker. Last week Loveman said he thought the industry could bring U.S. companies more than $5 billion a year in revenue. Caesars, which owns the World Series of Poker, signed a partnership with U.K.-based online gaming company 888 Holdings to prepare Caesars to enter the U.S. market as quickly as possible if legislation passes. While Caesars appears to have found a growth opportunity, $50 million in new capital isn't going to go very far. Some analysts have suggested that private-equity owners Apollo Management LP and TPG Inc. are using the IPO to test an exit strategy. They spent $27.9 billion to acquire Harrah's in a leveraged buyout in 2007, several months before the economy tanked. Caesars is moving forward with plans for Project Linq, a $550 million outdoor retail-entertainment complex on the Las Vegas Strip that will feature a 550-foot observation wheel modeled after the London Eye. Caesars said it has already completed financing for that project. Caesars will trade on the Nasdaq under the symbol CZR, though we're not sure cubic zirconia is the branding they're looking for. Read more in the Wall Street Journal and Business Week. The Cosmopolitan of Las Vegas opened on the Strip in December 2010 and instantly earned a reputation as a top hotel with exciting new restaurants, a hot club, and a host of popular bars. But the property continues to struggle to turn that buzz into profit. In the first nine months of 2011, the $3.9 billion casino was named one of Fodor's 100 best hotels in the world, yet it lost $169.9 million on net revenues of $357.7 million. "Design innovation is at the center of the Cosmopolitan, the sleekest new hotel on the Vegas Strip," wrote Fodor's editors. But with so much entertainment innovation to enjoy, who wants to gamble? The casino only generated $83.1 million in gaming revenues from January through September 2011. Despite additional focus on gaming dollars, the property generated $23.8 million in gaming revenue in the third quarter compared to $28.2 million in the second quarter. Getting unlucky at the table didn't help. The Cosmopolitan's third-quarter hold was 7.6 percent, about half of what the company expects. The Cosmopolitan, owned by Deutsche Bank's Nevada Property 1 LLC, has an uphill battle to vie for gaming customers on the strip. While MGM and Harrah's have huge customer databases and offer rewards programs across dozens of properties in Las Vegas and around the world, Deutsche Bank only owns one casino with only a year-old Rolodex. To help court high-rollers, the Cosmopolitan cleared space for a 15-table high-roller area called the Talon Club that is expected to open by the end of the month. "We expect that the opening of this additional gaming space will help improve table-games volume with the benefits likely impacting results beginning in the first half of 2012," Nevada Property 1 said in a statement. The company also hopes that a generous promotional budget, including $22.2 million in third-quarter comps, will pay off in the future. Hotel and food and beverage revenues continued to grow in the third quarter. The hotel brought on line 448 additional rooms, bringing its total to 2,995 rooms. Average daily room rate of $233 is among the highest on the strip. "Who says gambling getaways can't inspire?" said Fodor's. Now it's time for the Cosmopolitan to inspire guests to gamble. The Las Vegas Review-Journal has more from Fodor's and the rest of the Cosmopolitan's recent numbers.